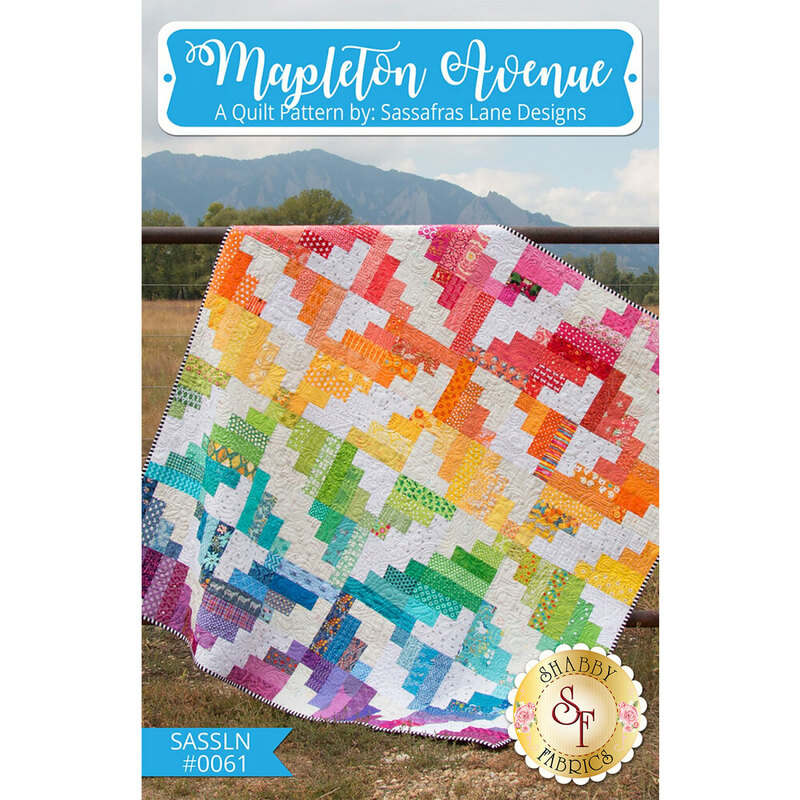 Start creating quick and easy quilts with the Mapleton Avenue pattern! This pattern uses one simple block, twisting and turning it to create a fun and interesting design! 2½" strip pack and scrap friendly! 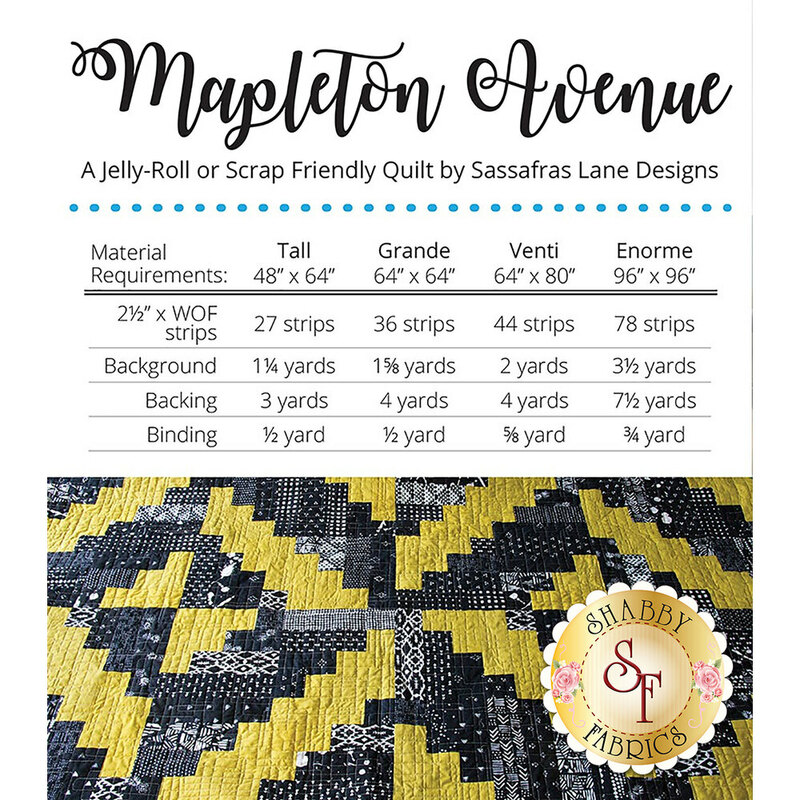 Pattern includes 4 sizes: Tall - 48" x 64", Grande - 64" x 64", Venti - 64" x 80", Enorme - 96" x 96".